The Ruff Sawn Live Edge Benchmark Dining Table is a stunning industrial dining table crafted with a live edge tabletop. Crafted from solid wormy maple wood with rough sawn distressing for a rustic industrial charm. Quality furniture made in America for your home. 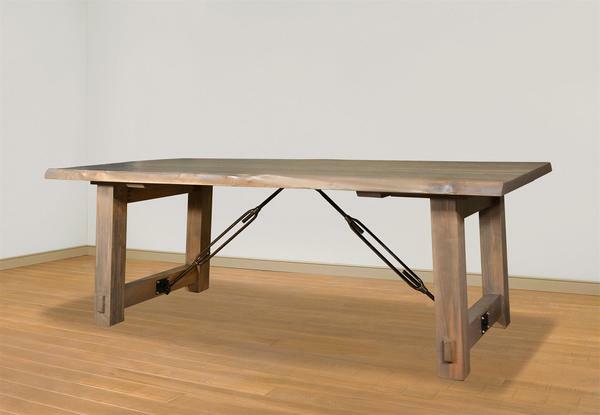 This extending dining table is built to last, crafted for generations!